The University-Model® combines the best attributes of traditional schooling with the best attributes of homeschooling and integrates them into one model. The result is quality, cost-effective, college-preparatory education that gives parents more time for imparting their own faith and values to their children. In partnership with one another, parents and the school work together toward a mutual goal: to produce wholesome, competent, and virtuous followers of Christ who will change the world in their generation. The fulfillment of God’s purposes on the earth depends on godly families who know Him and make Him known. Parents play a critical role in this mission. They have God-given responsibilities to shepherd their own children by mentoring them to know Christ and to live according to His purposes. God’s design is that parents lead their children to understand that they are blessed and have a mission to become blessings in the world. Christian young people are inundated with worldly “callings” to pursue goals that are inadequate and ultimately unsatisfying. They are constantly being lured into counterfeit purposes that fall far short of God’s highest and best: personal happiness (apart from fellowship with God), popularity and acceptance, relationships and sexual activity, success (academic, artistic, athletic, material, social), and the pursuit of their desires to have, do, and believe what they want with no accountability to an absolute standard of truth. The purpose of the University-Model® is to cooperate with parents who aspire to train their children to live as responsible Kingdom citizens of the world. The UM school, therefore, emphasizes discipleship instead of evangelization and uses its resources to train young adults who are willing, equipped, and courageous to impact their world in order to glorify God. The University-Model® is a five-day academic program with students spending 2-3 days in the central classroom and 2-3 days in their “satellite classroom” at home. Classrooms are under the supervision of the professional educator. 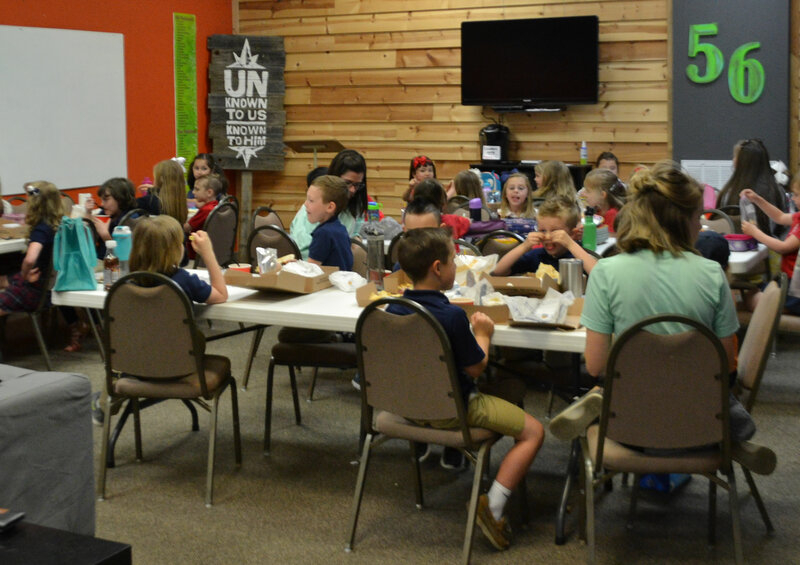 The key to the success of the concept is the integration of a biblically-based, parentally-guided, Christian faith and a sound, teacher-directed, academic environment. Parents partner with professional educators in this educational process. Under the supervision of the qualified educator, parents are required to provide oversight responsibilities of their children’s coursework in the satellite classroom at home. They also serve as paraprofessionals by providing extension, enrichment, tutoring, and study skills instruction. As the level of parental involvement progresses from a private tutor (elementary) to a guide (junior high) to course monitor (senior high), parents are expected to continue exercising responsibility for their children through graduation. Because the goal is to prepare students to become spiritually and academically independent, the University-Model® provides a gradual transition from the home to the school. Since younger children typically need more time at home, full-time elementary students attend school two days a week, while being in the satellite classroom three days a week. When students reach the middle school age level (sixth or seventh grade), their time increases to three days in the central classroom and two in the satellite classroom. The goal is to introduce upper-level students to a college schedule where they attend school whenever classes are scheduled instead of spending full days in the central classroom. For upper-level students, large University-Model® schools provides a college-simulated environment. The teachers are in charge of all direct instruction in the central classroom, and they encourage and expect students to learn the material assigned through independent practice and homework. Teachers also provide consistent feedback to students and parents regarding the progress in each class. The school integrates the Christian faith, formation in virtue, and a biblical worldview into the context of each subject area, to the end that character building that begins in the home receives support and reinforcement throughout the school community. The University-Model® offers a rigorous, college-preparatory education that is second to none. Validation of the University-Model® by the entire educational community proves its value as a highly credible alternative model of education. The AdvancED accreditation of NAUMS, Inc., along with the growing number of accredited NAUMS/UMSI member schools, support this belief. The chart shows the academic benefit of gradually preparing students for direct entrance into college vs. an approach that requires significant adjustments. On the left side of this diagram is the number of hours each week students are in a classroom guided by a professional teacher. On the bottom, from left to right, are the ages of students up to 18, the typical age for high school graduation. The upper portion of this diagram is the additional amount of time the University-Model®, in contrast to the traditional model, gives back to parents. According to information gathered by pollster George Barna, the most critical period when 94% of all boys and girls come to a saving faith in Christ is before the age of 18, and 90% before the age of 14. Only 6% will make the decision to accept Christ between the age of 18 and their death. Since parents are the most influential factor in this decision, it is vital that models of education exist that keep parents involved with their children during the early, critical years of a child’s education and spiritual formation. The University-Model® demonstrates significant benefits when compared to the non-UM school. According to a 2011 Harvard study titled “Pathways to Prosperity,” just 56 percent of students who embark on a bachelor’s degree program finish within six years. According to the Organization for Economic Cooperation and Development, just 46 percent of Americans complete college once they start, worst among the 18 countries it tracks. Many people in the University-Model® believe other factors also contribute to students dropping out of college. Factors such as a lack of challenging courses in high school, the failure of schools to teach basic virtues (personal responsibility, ordering time, developing initiative, prioritizing tasks, and striving for excellence rather than perfection), and the removal of parents from the educational process. Love for learning and a strong work ethic are essentials that parents can teach and University-Model® schools can reinforce. Graduates of University-Model® schools report that they have been well prepared for the challenges of college because they have been trained in the university system from the beginning. University-Model® schools cost one-half to two-thirds less than private Christian schools. Both parents do not have to work in order to send their children to a University-Model® school. The school is designed to keep costs low so that a single income family can participate, leaving mom or dad home on the days that the students are in the satellite classroom at home. The student teacher ratio is small. Many qualified teachers prefer to teach in the UM school due to the positive school climate and parental support. Some teachers and even college professors prefer the part-time schedule of the University-Model®. Thus, teacher retention is often high. Teachers have the freedom to pursue their love of teaching without the distractions and problems often observed in the traditional school. Students come to class prepared because parents are required to supervise their children. Discipline problems are managed quickly by involving parents early in the process. Parents find they have many teachable moments one-on-one with their children, without having to carry a full load of responsibility. Because of the university schedule, the peer pressure in most traditional schools is not a major factor. Students spend similar amounts of time under the influence of their parents as they do their friends. Some of the programs adopted from traditional schools are academic competitions, student council, yearbook, competitive sports, drama, senior trips for educational purposes, and others. UM students do not miss out on extra-curricular activities. With more time available on satellite days, older students in University-Model® schools can pursue other interests that further their God-given purpose. Dancing, playing an instrument, participating in select sports, and even part-time jobs for some students are examples.